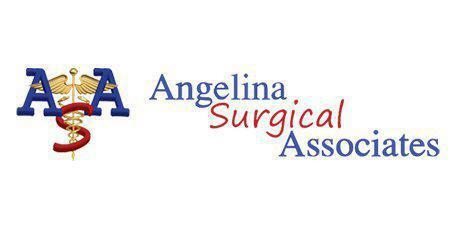 Angelina Surgical Associates always appreciates feedback from our valued patients. To date, we’re thrilled to have collected 34 reviews with an average rating of 4.76 out of 5 stars. Please read what others are saying about Angelina Surgical Associates below, and as always, we would love to collect your feedback. Dr bassin was referred to me by my dermatologist. I could not have in better hands. He made me comfortable and went over the procedure in a way I could understand. If should need anymore surgery, he would be the one. Thorough, answered my questions, results of surgery are looking great. Nurses treated me respectfully and with a caring hand. I was very impressed with the staff and the efficient way that they answered all my questions. Very helpful as I did not know very much about what to expect. They put me at ease and answered all our (my husband and I) questions. Thanks to Dr Bassin for the care I received. A great doctor and a very great staff. Thanks so very much! I was very pleased with my experience. Dr. bassin was professional and explained things to me well. Thanks. Everything went just as he said it would and his staff. Everyone was very courteous and professional. Will recommend him and his staff to anyone. Dr Bassin and staff have been amazing!! I would definitely recommend Dr. Bassin! Definitely a 5 STAR!